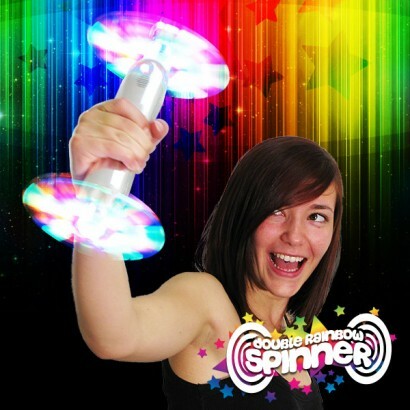 Double Rainbow Spinner! 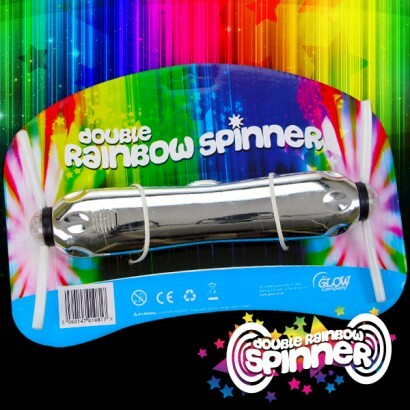 Enjoy double the fun with the incredible double rainbow spinner that features twin rainbow windmills on either end of a central chrome handle that produce incredible circles of colourful light! 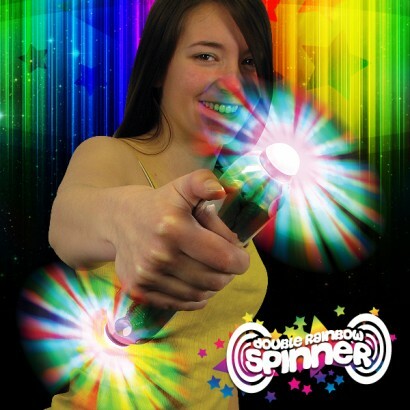 Press and hold to activate and see twin rainbow windmill effects in a mesmerising light display for double the wow factor!